Disclaimer : Product color might slightly vary due to photographic lighting sources and/or your monitor settings. 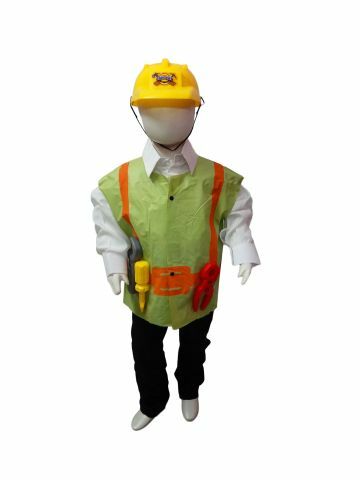 Note: Please note that the shirt and pant are not included in the costume contents and it is recommended that something similar is worn under the Engineer costume. Keywords: Engineer costume, injeeniar, mechanician, mechanic, machinist, civil engineer costume, mechanical engineer costume, architect.